CCycle was one of several groups that took part in Colorado College’s first formal crowdfunding effort this spring. 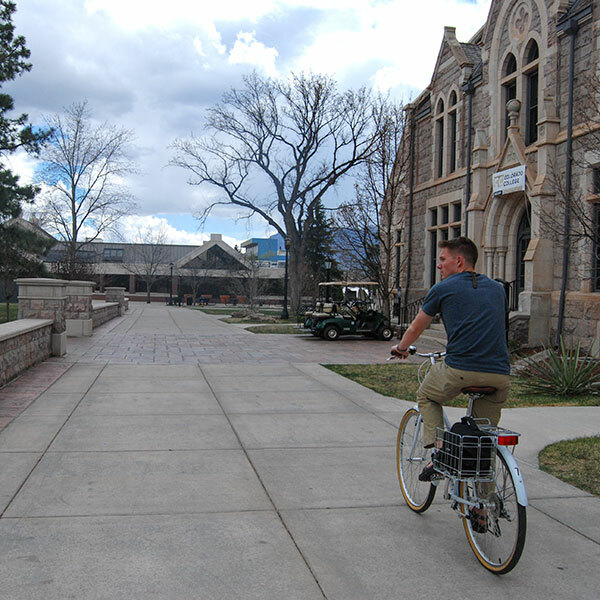 CCycle lends bikes to 25 students per block, making the Colorado Springs community more accessible, while capitalizing on the campus cycling culture, and aligning with the school’s sustainability goals. The student-run bike share raised $2,725 — 90 percent of its targeted funds. Jordan Ellison ’19, a volunteer who helps maintain the bike fleet, served as project manager and produced a video that helped make the case for the CCycle fundraising effort.